Not for long though. I’m getting sent out of town for a week for some professional development and I don’t know what my internet access is going to be like. I’m hoping to post a few times during the week but if not, I’ll be back in a few days. 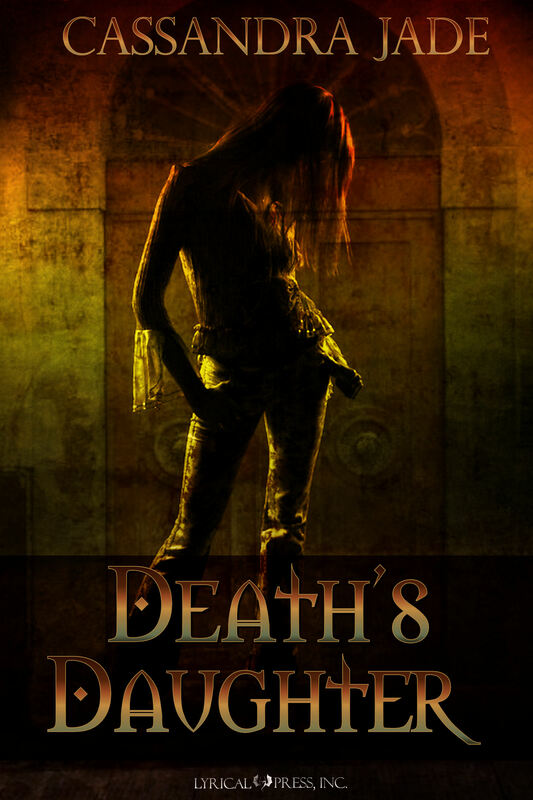 Until I get back, I’d like to leave you with the trailer to Death’s Daughter – it is a little rough but it is a start. If you can’t hear the sound, you may need to turn up the volume a bit. How did Calandra get her name? Okay, it was brought to my attention prior to publishing Death’s Daughter that Cassandra (my name) and Calandra (my protagonist’s name) are kind of similar. There are two things I have in common with my protagonist. One – we both like boots. I have a serious liking for wearing boots and my protagonist is equally obsessed. Two – our names start with the letter C and have a similar number of syllables. Possibly people who know me will point out a few other similarities but as far as I’m concerned, those two points are it. I love Calandra as a character, particularly as she grows throughout the story, but I don’t know that I would ever want to be compared to being too much like her. So, how did Calandra Delaine end up with such a name? As you can see, not a lot of choice. Besides, I read the name Calandra and I just knew. I had found the name my character needed. If I ever had second thoughts about it, Calandra would be sure to point out to me that she knows her own name and that she would not stand for me arbitrarily changing it on her. Welcome to Cassandra Jade in the Realm. For those who don’t know me, I am Cassandra Jade, a hopefully-soon-to-be-published (date pending) writer who spends her days in the classroom and her nights seeking, and generally finding, inspiration. I used to have a blogger account and technically that blog still exists, with all its links, but I’m working on moving most of the content over. This blog, for me, is about exploring the world of writing, sharing the information I find, contributing ideas, helping others, sorting through the randomness inside my own head, and attempting to be reasonably entertaining and informative. It is also a place for other writers to spread the word and share their views on writing. I’m hoping you will join me on this journey and if you would like to contribute, please contact me.